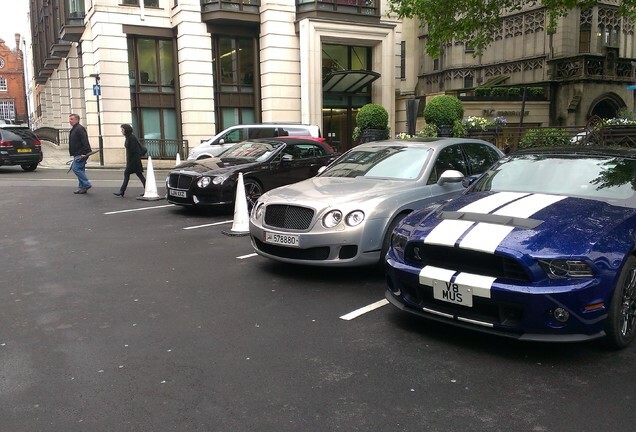 You will always feel like you’re the king of the road in a Bentley. 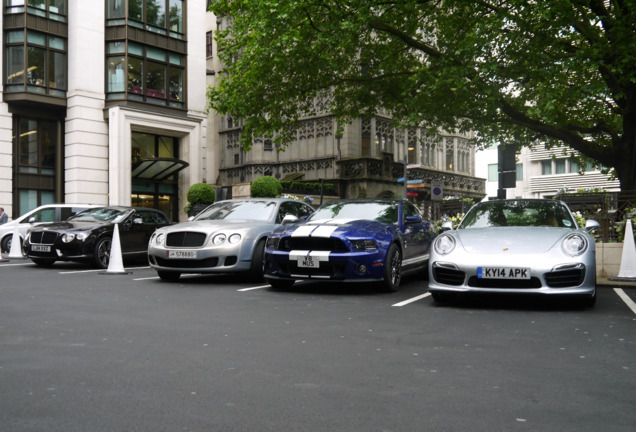 The luxurious and sporty Brits give you the feeling of being important. This feeling is amplified by the fact that they offer limited models regularly. 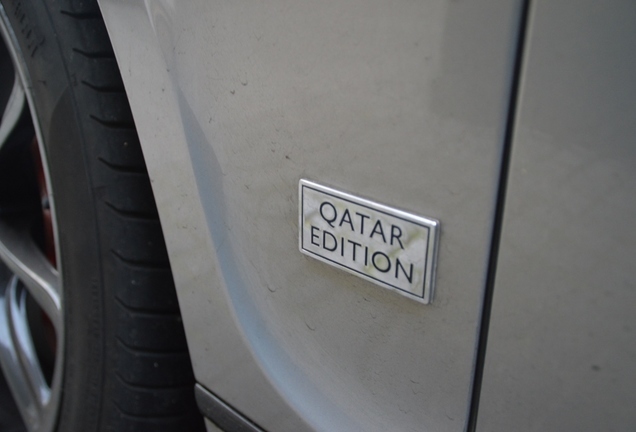 For the Continental Flying Spur Speed, some limited editions were made, of which the following copy, which is spotted in Doha. It’s a type we didn’t see before on Autogespot. The type is a mouthful, if you want to know the complete name, the Continental Flying Spur Speed Qatar Edition. This four door limousine is made in a collaboration with the official Bentley-dealer of Qatar, Al Wajba Motors. On the outside, the car can be recognized by the grey paint and red ‘Bespoke’-line, which is made by hand. Further, all parts which are normally finished with chrome are painted glossy black. The dealer has chosen for black/white leather in the interior, finished with red stitching. Also several plaquettes are placed on places like the passenger tables and thresholds, all saying Qatar Edition. On the Facebook page of the dealer, photos can be found for those who’re interested. Under the bonnet no modifications are done, the W12-engine is strong enough with 610 bhp.